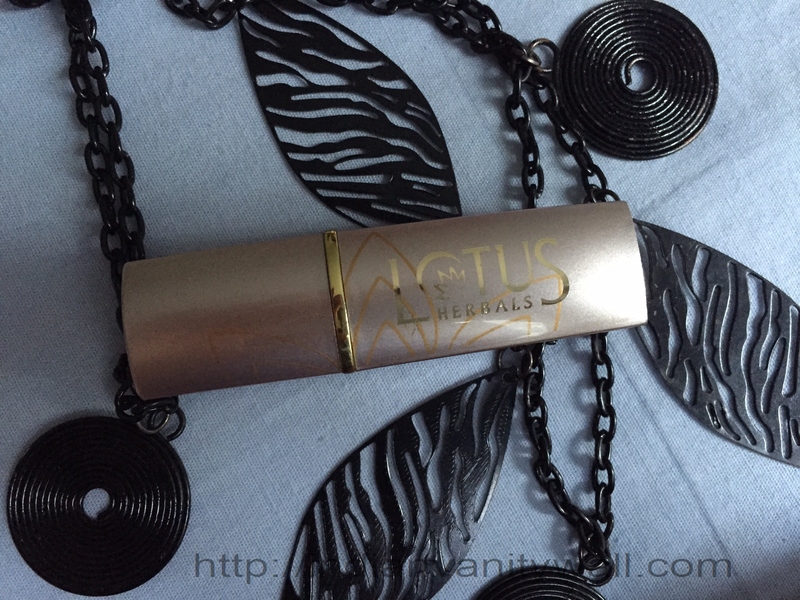 Today I am reviewing a shade from the Lotus Herbals pure color lipstick range. The shade is 612 Red Rose. 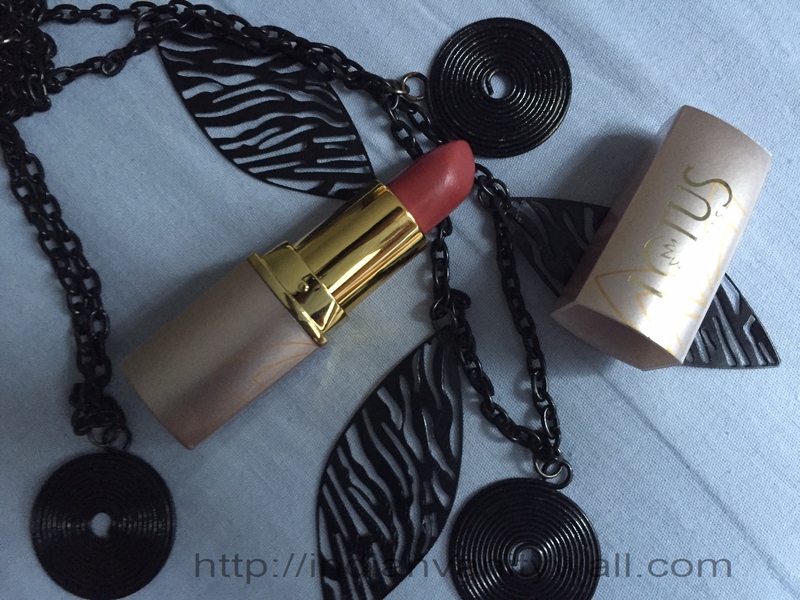 I had bought this shade few months back and then it was priced at 245 INR. Now they seem to have increased the price to 275 INR. 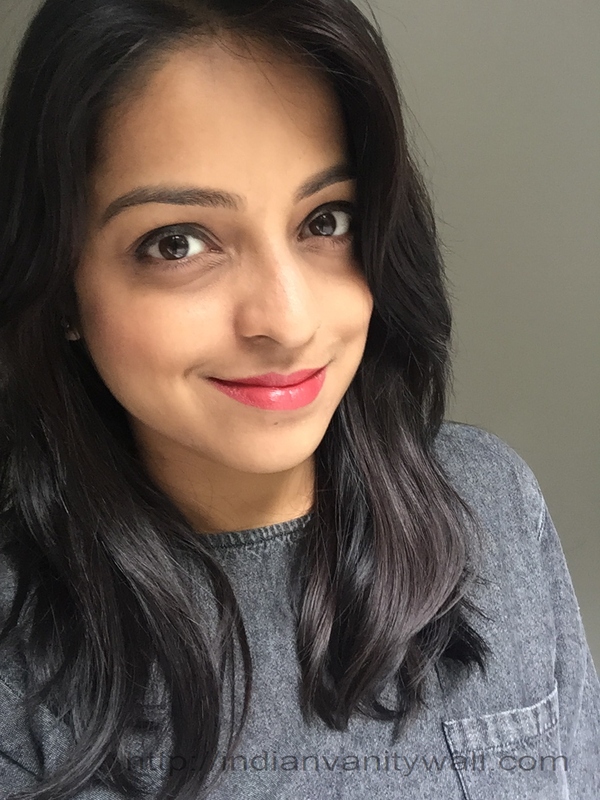 Read onto know if this lipstick is a hit or a miss. Active Ingredients – Enriched with the botanical extracts of Aloe Vera and Jojoba. The Pure color lipstick range comes in a golden beige packaging with the lotus pattern running over the body. The packaging is acceptably robust but the cap is a little flimsy as it comes off easily. So it is not quite the “throw it in the bag and I am good to go” kind of lipstick. You need to be cautious when traveling with this one as it may end up damaging the lipstick bullet. The bottom of the tube mentions the shade name and number. It doesn’t have a color coded sticker making it difficult to locate shades. 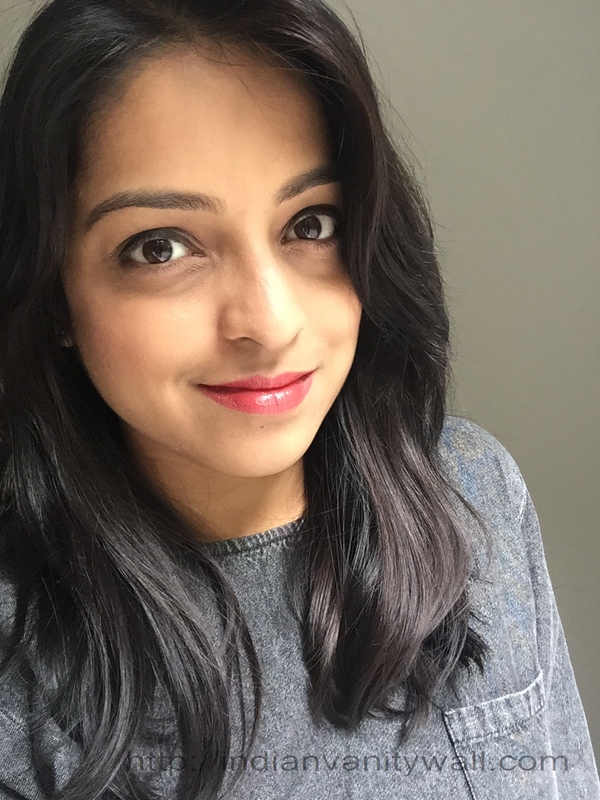 The lipstick formula is creamy and soft. It glides on smoothly without any tugging. The formula feels light on the lips. It is quite moisturizing on the lips but I would have preferred a little more hydrating formula. 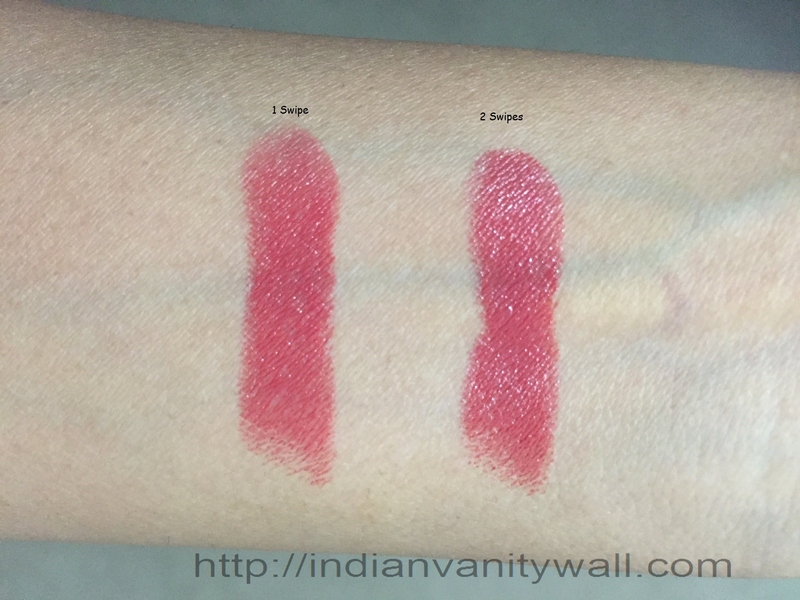 The lipstick has a strong floral scent (in the tube) but it disappears soon after application. To me the scent is quite appealing. The shade Red Rose is a gorgeous muted coral red that settles into semi matte finish. The pigmentation is superb giving fine color in a single swipe. It’s a versatile shade that would suit Indian skin tones. For those of you looking for a subtle red with more of an earthy undertone this is the shade for you. Staying power of the lipstick is about 4+ hrs. It survives light as well as heavy meals. It fades evenly – no patchiness at all. It does not feather or bleed but does transfer a bit which is a given since it’s creamy. It settles into a darker stain and surprisingly on the whole lasts for about 7 hours which is simply amazing. 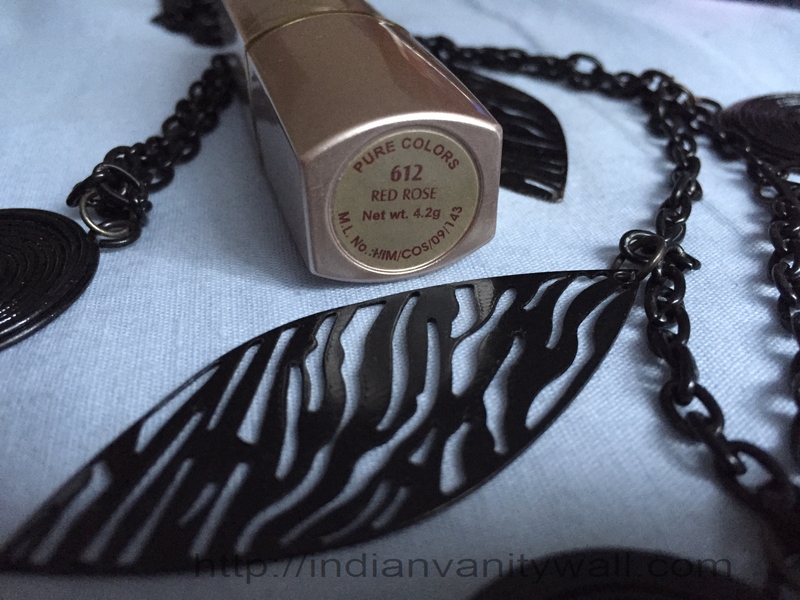 To sum it up, this is an absolutely gorgeous shade that would look beautiful on all Indian skin tones. 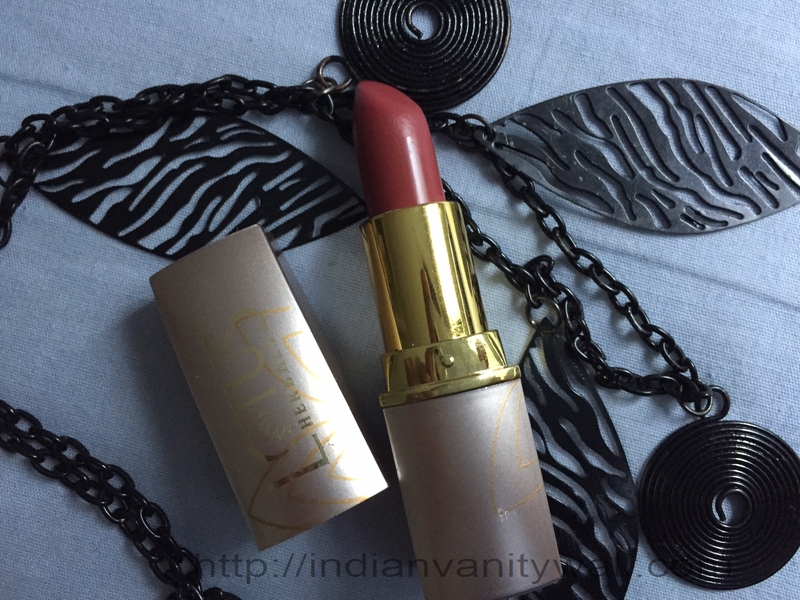 It has excellent pigmentation, formula and staying power for a lipstick priced at 275 bucks! – price is definitely justified. Absolutely!!! This range is definitely worth giving a shot. 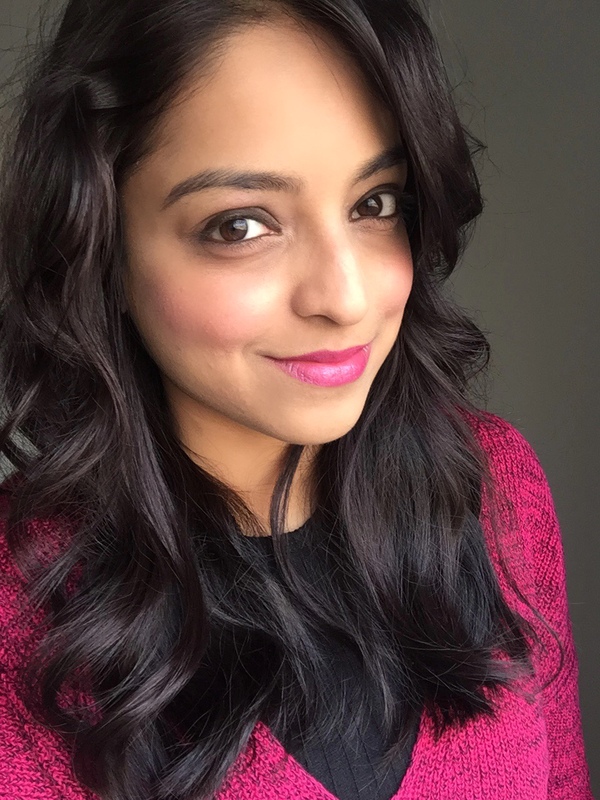 Gorgeous subtle coral red that would be perfect for Indian skin tones. It is not very hydrating but then I would hardly let that be a deterrent since it scores well on almost all other factors. I should get this color.. i havr carnation from this range and it is my favorite. I haven’t checked carnation..will definitely look for it. Nice FOTD Jinse! These lippies are a good deal for the price that we pay, I have 2 of it and I feel disappointed as it transfers, but why expect much out of a lippie that is too economic.